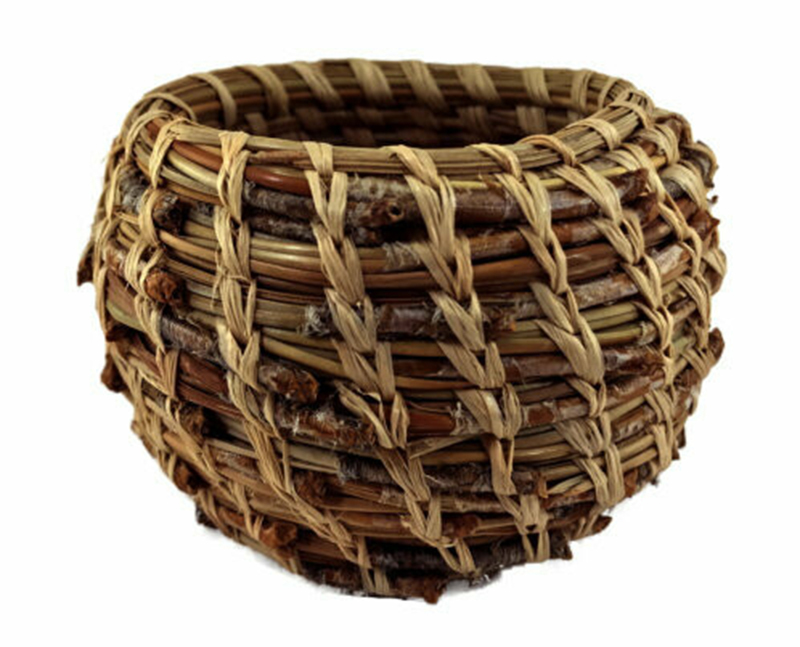 You can make a 4"-5" coiled basket or two smaller baskets with this kit. Eight easy stitches are taught. It's fun and relaxing. 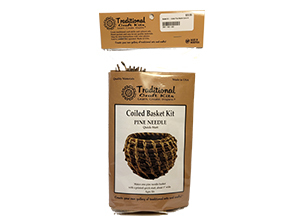 The kit contains long pine needles, raffia, a tapestry needle, a coiling gauge and an easy-to-follow instruction booklet. This kit is very quick and enjoyable. The pine needle coiling starts around a leather base. You'll be surprised at how easy it is. The round style uses the Rope Stitch. 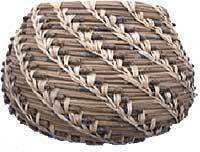 Basket measures 3-1/2" diameter by 2" high. The kit contains pine needles, raffia, a tapestry needle, a leather base, and an easy-to-follow instruction booklet.